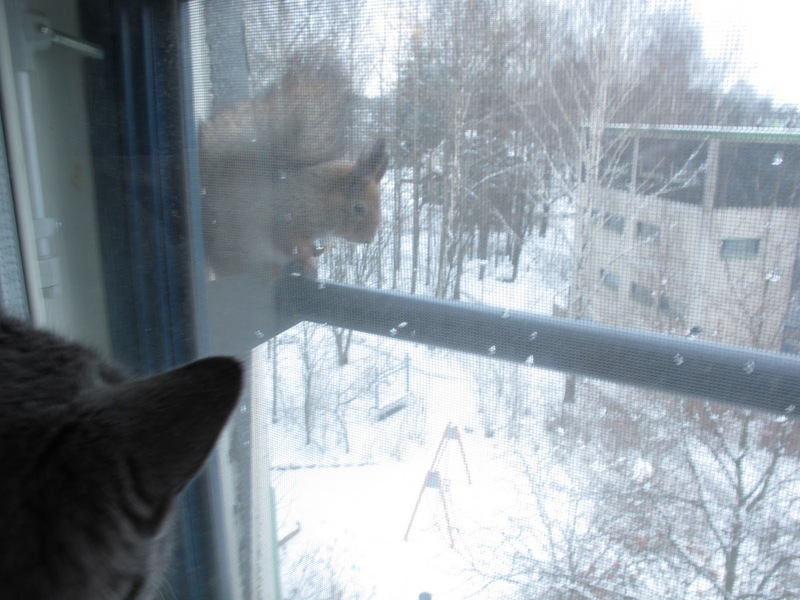 A squirrel came over to our window to say hi to Notka. And the weather changed a lot since my last post. I am so happy about the snow, and so is Notka. She almost doesn't leave the window, watching the snow falling all the time.